The bat hand print kits are a fun activity. The kids loved having me draw around their hands whilst giggling at the tickley feeling. We used split pins, which are provided, to fasten the hands to the bats body to create moveable wings and the kids did the rest themselves. 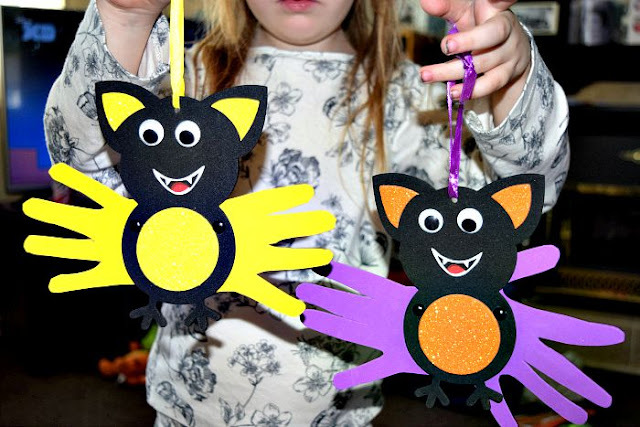 They chose which coloured stickers they wanted to use for the belly and ears of their bats. Zach's favourite colour is yellow so he wanted an all yellow and black bat whereas Gracie opted for a mix and match of colours. I think they both look pretty great! 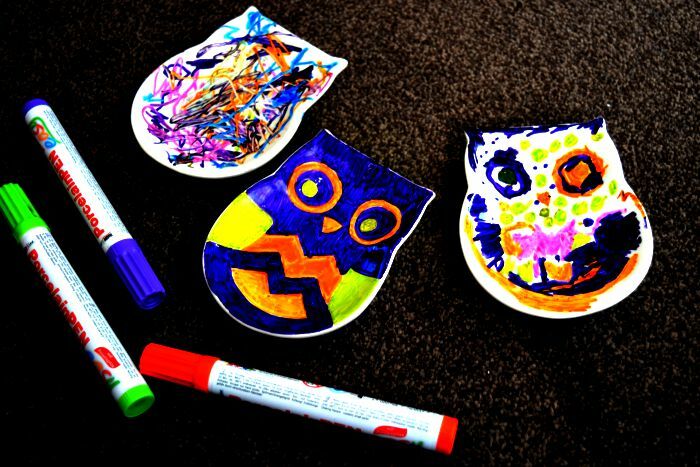 The bat hand print kits come in a pack of 4 for £3.49. This is another activity I attempted to do with Gracie, Zach and two of their friends. Unfortunately this is the only one that turned out good enough to photograph. It isn't the easiest of crafts to do, the weaving is ok but the kids found it difficult. I actually found the hardest part was sticking the foam back on in line with the front. As you can see I didn't do the best of jobs. I do think it looks great though. 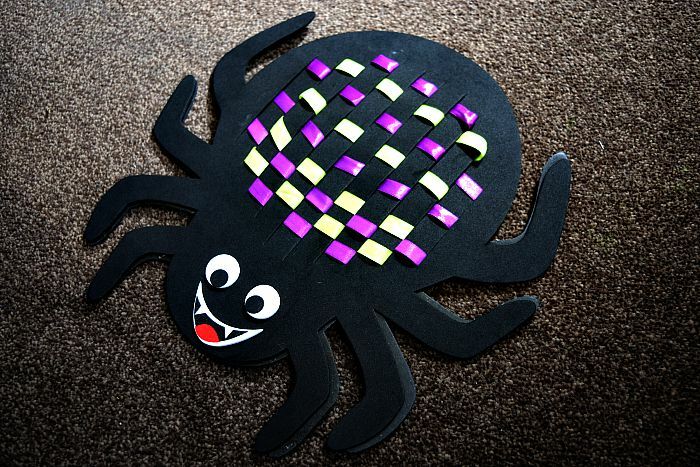 My plan is to attach some string to the top and hang it from the ceiling for our Halloween party! It's such a shame I didn't end up with another good one to use. The spider weaving placemat kits come in a pack of 4 for £4.48. I love these day of the dead keyrings! I really like the kids sewing kits from Baker Ross with their safety needles that can help teach children to sew from an early age. 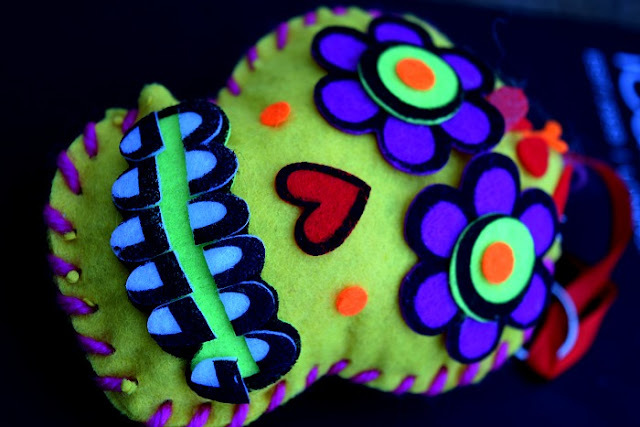 I love the bright colours associated with any day of the dead products and so to be able to make key rings was really fun activity for us. I did the sewing as Gracie and Zach are a bit too young for that still and so wanted me to sew while they had the freedom of sticking all the cool stickers all over the face to make it stand out. The day of the dead key ring sets come in sets of 3 for £3.75. 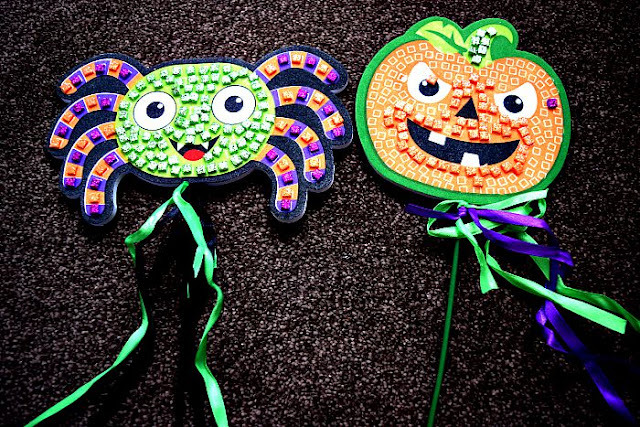 You can find all of these great crafts and lots more at www.bakerross.co.uk and you still have time to grab some great Halloween crafts!